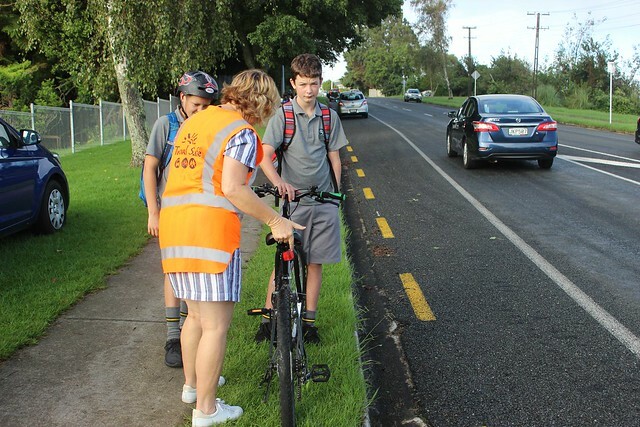 Cyclists around the region stocked up on refreshments and spot prizes on their way to work and school this morning as part of Sport Bay of Plenty's annual Go By Bike Day. The annual event is part of Sport Bay of Plenty’s Play in the Bay Bike Month calendar, which seeks to connect the region with low cost and free recreational activities revolving around cycling. From 7am to 9am there were pit stops stationed along popular commute locations in Tauranga, Whakatane and Rotorua areas, where riders fuelled up on free snacks and refreshments. The pit stops were manned by Sport Bay of Plenty staff and the participants on the Youth Engagement Programme, schools and supporting organisations. Thanks to everyone who took part - check out our photos below from the morning!